Originally from the Whitewater Cooks and named after the “Glory Bowl” run at Whitewater Ski Resort in Nelson, B.C., this already famous vegan dish is not only easy, it’s downright delicious too. You’re a true beef-loving Albertan at heart eh? “But I’m not vegan” you say. Vegan schmegan! 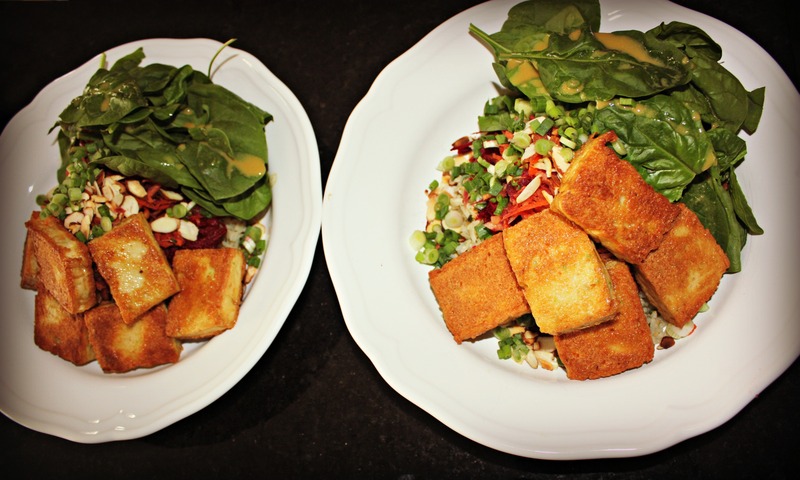 This healthy meal can be thrown together in 20 minutes (as long as it takes the rice to cook) and is so yummy, even our beef-loving taste-testers said “holy crap this is good!” Don’t be fooled, and don’t let people tell you tofu is gross, weird, or yucky; they’re wrong. The vegan tofu found at Hearts Choices is tasty; light and fluffy, and full of flavour. Vegans and meat-lovers alike enjoy the non-GMO foods found at Hearts Choices, and heck, Nan and Chris are just so darn nice. The Glory Bowl dressing is pre-made with care and sold for those who are short on time, and they do a bang up job. 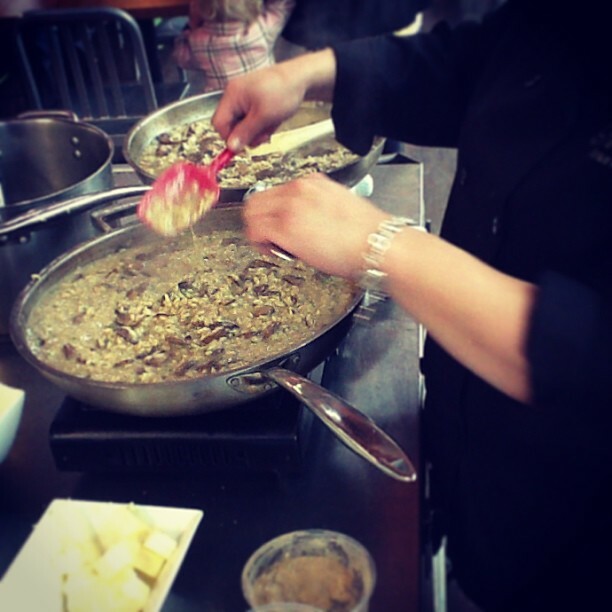 Or you can pick up the individual ingredients to whip it up yourself. This is our version of the Glory Bowl, and it’s mighty tasty. Start by making the rice as instructed in the packaging (this is as easy as pouring water into a pot and stirring the rice). Easy peasy lemon squeezy. While the rice is cooking, grate the beets and carrots separately either in a food processor (as shown) or on a tried and true box grater. Add the juice of half an orange to the carrots and a dash of salt. Leave the beets as is. 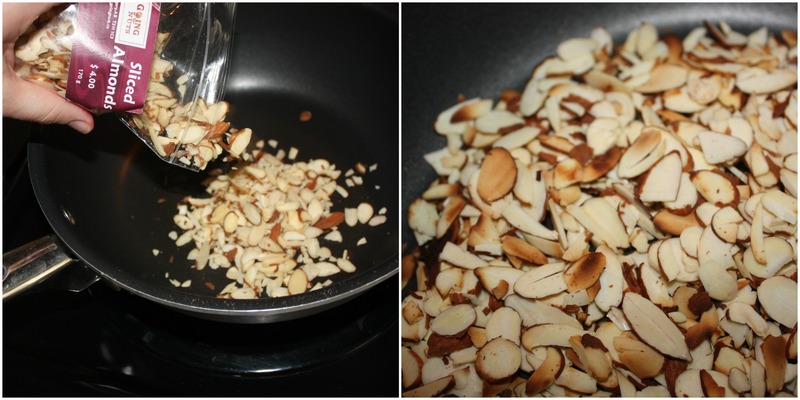 To toast the almonds, place them in pan on medium heat (with no oil) and toss until they start to get some color. Be careful, burned almonds aren’t so great. Set aside when golden. To grill the tofu, simply heat a pan to medium with a little olive oil. 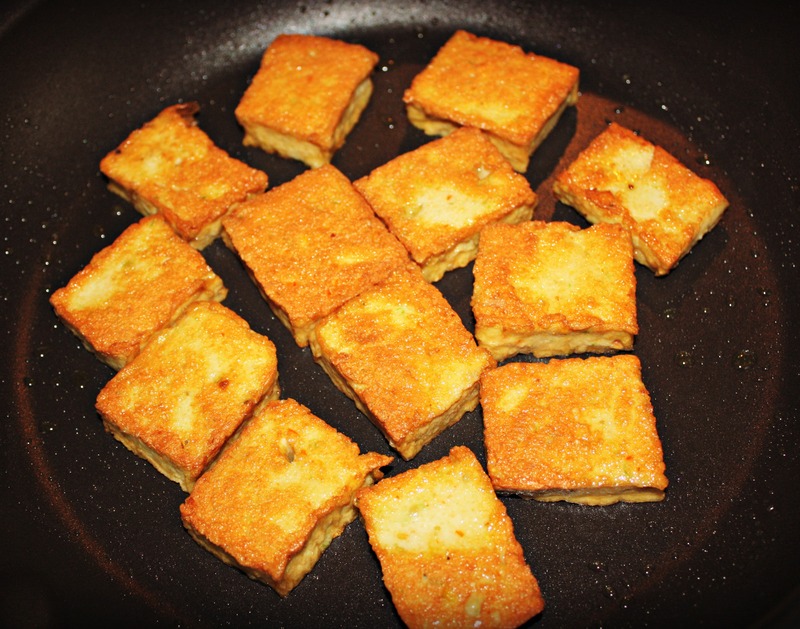 Place tofu in hot pan and turn when golden (about 2-3 minutes on each side). The bowl itself is best when layered, so start off with a portion of rice or quinoa from The Spicy Assistant and pour on a bit of the dressing. Next, add grated beets and carrots, slivered toasted almonds, spinach, and grilled tofu. 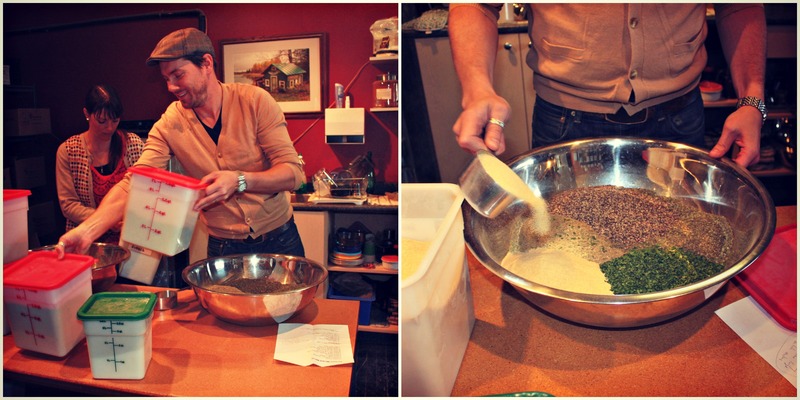 Now, add a little more dressing on the top and voilà! a glory bowl. Yes! It’s that easy! This dish can be varied greatly, adding whichever greens you would like (arugula, micro greens, crunchy bean sprout mix, etc). We added a healthy sprinkling of green onions. So, to all of the meat-lovers out there, we challenge you: come see Nan and Chris, try their truly surprising vegan fare. Then, whip up this Glory Bowl… and just try to not go for seconds. If you’re like most Calgarians, you rejoiced as the sun came out and the thermometer broke double digits. You pulled out your summer gear, came up with a get-bikini-ready routine, you may have even started dreaming of what you’ll plant in your garden. We’ve all made that mistake. It really is a foolish one; we ought to know better. Can we complain that it’s the beginning of April and there’s a fresh layer of snow on the ground? We could, but there isn’t much use. Spring will come when it darn well pleases. But that doesn’t mean we have to be miserable about it. 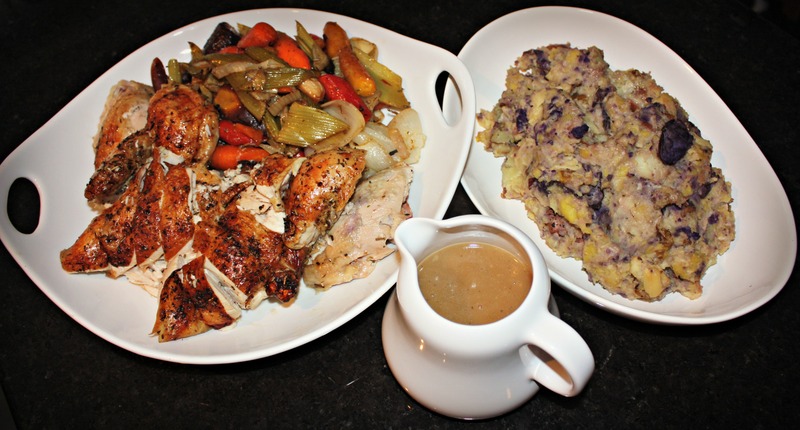 There are still great things to be whipped up in the kitchen; things that actually do best in cooler climates. Like kale! And stew is one heckuva way to keep toasty; it can take as little or as long as you like. This is the traditional, let the stew simmer method, but we’ll give you the quick tips too. *You can substitute brown sugar, but turbinado sugar is generally less refined and can be purchased from your neighbourhood grocery store. Try to find a raw sugar that suits your taste buds. First thing’s first, you need to soak the beans in water for 24 hours. Then, cut the tomatoes into halves, toss with olive oil, salt, and pepper. Grill them either in a pan, or when the blessed sun decides to show itself, enjoy grilling them on the BBQ. 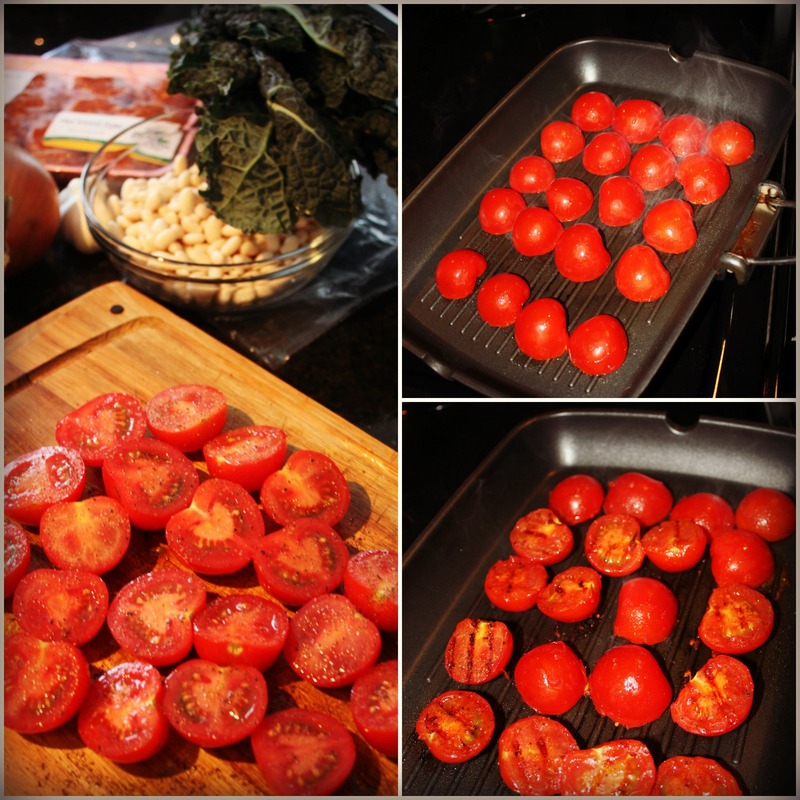 Grilling the tomatoes will do a couple of things: enhance the sweetness of the tomato and add a slightly charred flavour. Plus, removing the skins will be much easier, if that’s what you choose to do. Then, with a little olive oil in a dutch oven (or good ol’ pot), sauté the onions and garlic until slightly golden. Add the Spanish Chorizo and break into smaller pieces. Stir in the tomatoes and one cup of water. 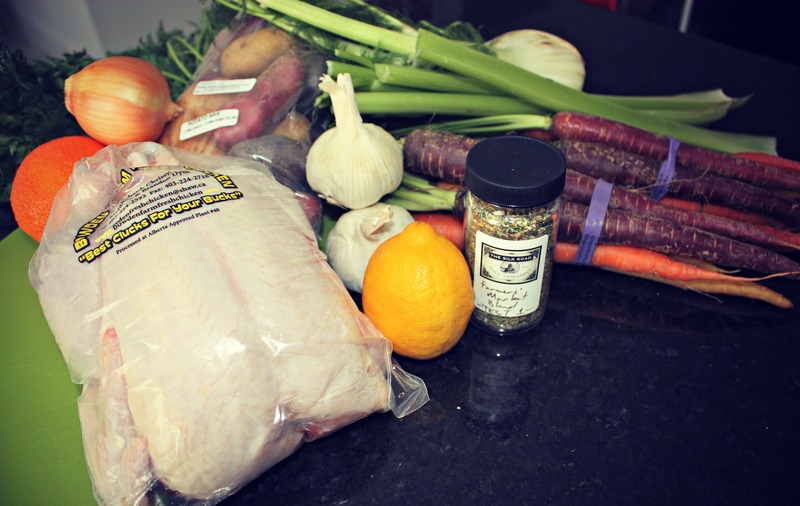 *You can use stock of any kind, though chicken or veggie stock is best. You can even use a good glug of wine at this point if your heart desires. Add salt and pepper to taste, and 1 tablespoon of sugar. 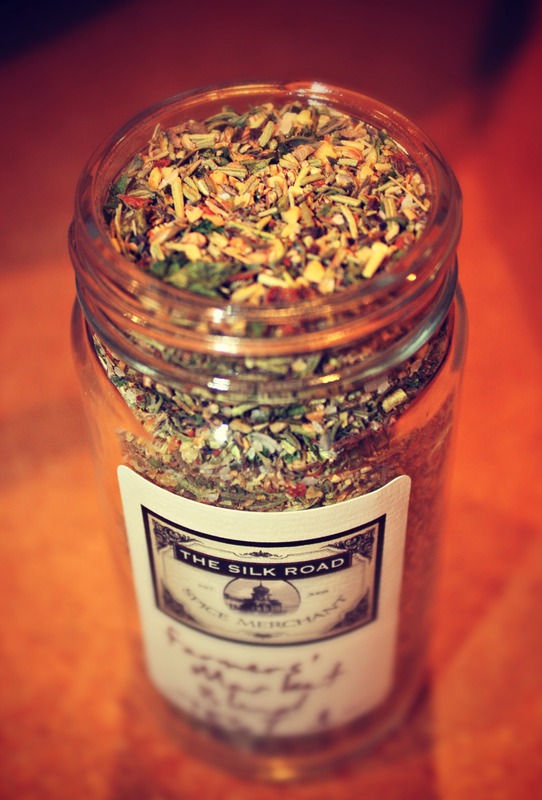 If you want to kick up the heat, add 1 tablespoon of Ancho chili powder from The Silk Road Spice Merchant. Add the beans and another 2 cups of water. Bring to a boil, cover and let stew until beans are soft. Approximately one hour; add water or stock as needed. *This is where you can decide if you want a slow stew or a fast. 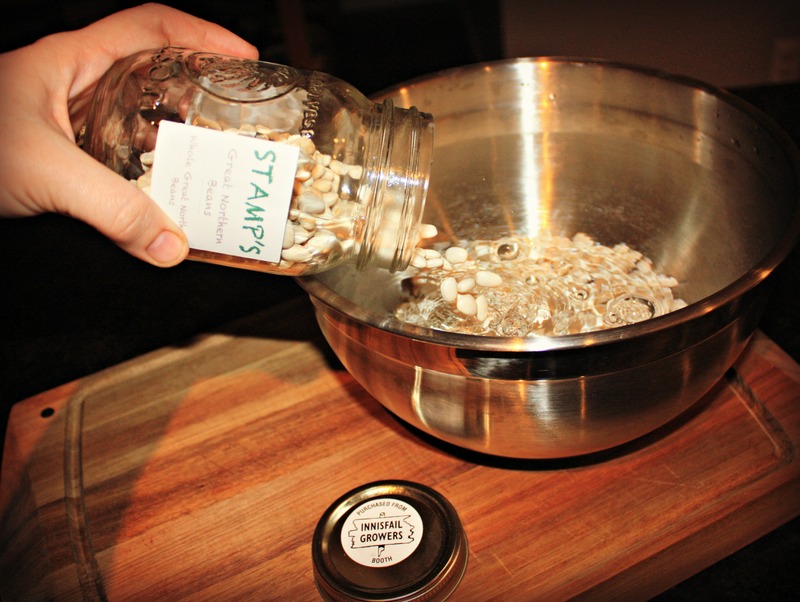 If you want to soften the beans before adding them to the stew, boil them in water until soft. 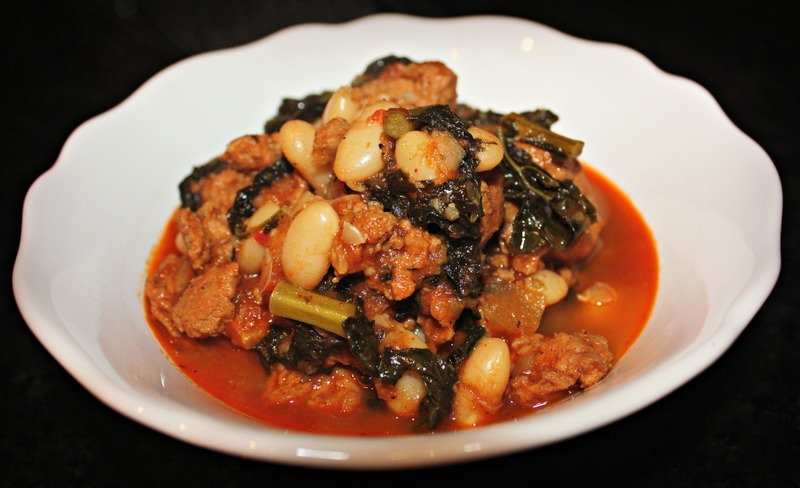 If you’re in a pinch for time, use canned cannelini beans in place of the dried beans. When the beans have sucked up most of the stock and have become nearly soft, add the kale that you’ve cut into half inch wide ribbons and simmer for another fifteen minutes, or until tender. Tip: try to cut the kale into even strips so that each bite will include tender greens instead of a mishmash of soft and chewy kale. And it looks pretty. If you like your stew a little on the thicker side, mash some of the beans with a fork. Otherwise, serve with a toasted slice of artisan bread. Don’t forget the butter. Never forget the butter. After a busy weekend of hunting for Easter treats, entertaining family and friends, and preparing a big meal, the last thing you likely want to do is more. More of anything. But dinner awaits and standing in front of the fridge, gazing at all of the leftovers, hoping they will miraculously whip themselves together into something that passes as a meal isn’t going to help. Do not despair. 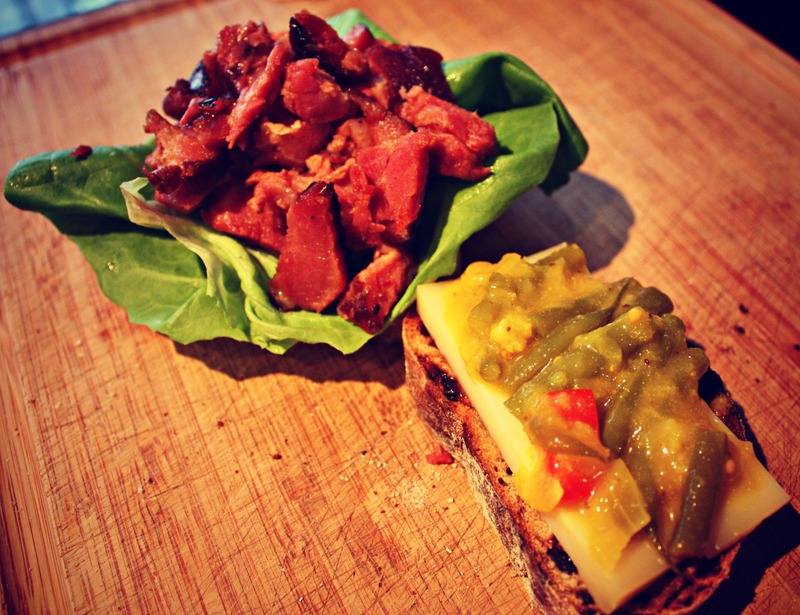 Here, we have for you, two simple ways to use up that Easter ham staring back at you. The best part about this sandwich is that it takes about five minutes to throw together, but tastes like you put a whole lot of thought and effort into it. Start by cutting the ham into bite-sized pieces to be warmed in a pot. This is where the sticky leftover bits of glazed ham and fatty rind really come in handy, coupled with a small splash of water, the ham will stay moist as it reheats. Lightly toast and butter the bread. 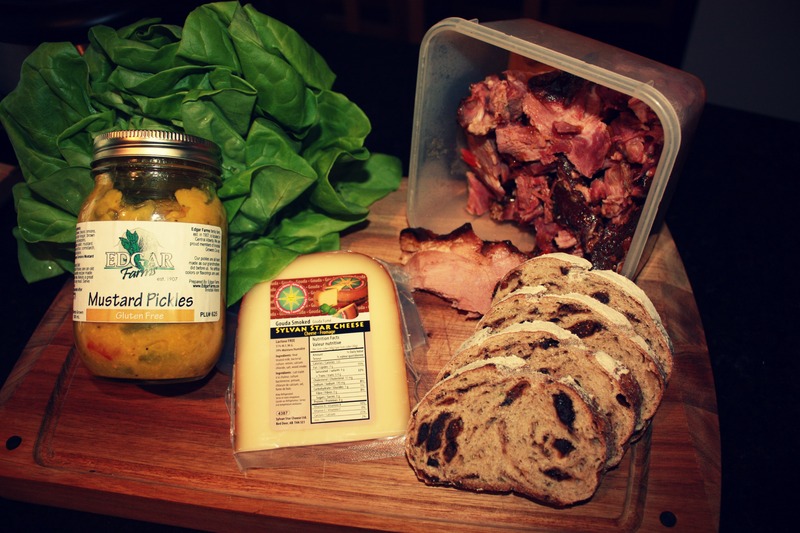 Top with the smoked gouda, mustard pickles (they’re really quite flavourful, so this is a to-taste preference), a leaf of the butter lettuce, and warmed ham. 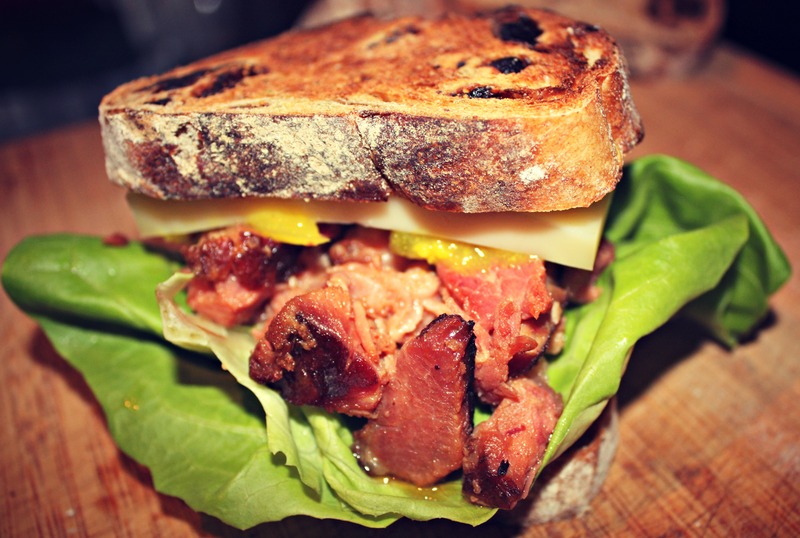 As you may suspect, this sandwich is a little on the messy side. You could call it ‘rustic’ if you wanted to cover your bottom, but it would only be fair to warn you that it fast becomes a deconstructed sandwich. It definitely falls into the category of being a ‘knife-and-fork-required’ kind of meal, but is that a bad thing? You’ll be glad to have the fork to stab every delicious morsel left on your plate. You may even lick it clean. Just sayin’. And if sandwiches aren’t your thing, or you’ve already had a few this week, you can use the remaining ham (and the bone) as the beginning to a number of great soups. 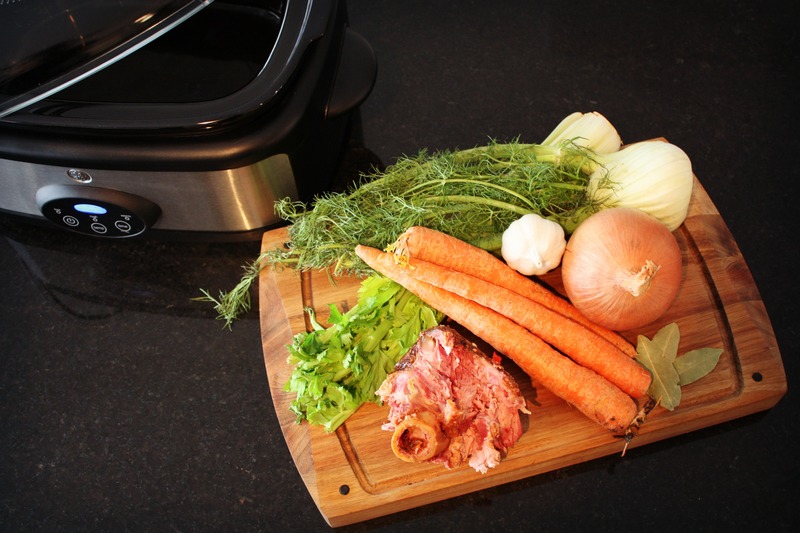 Making a stock is remarkably simple, and if you have a crock pot (as most Canadians do) they are beyond low maintenance. 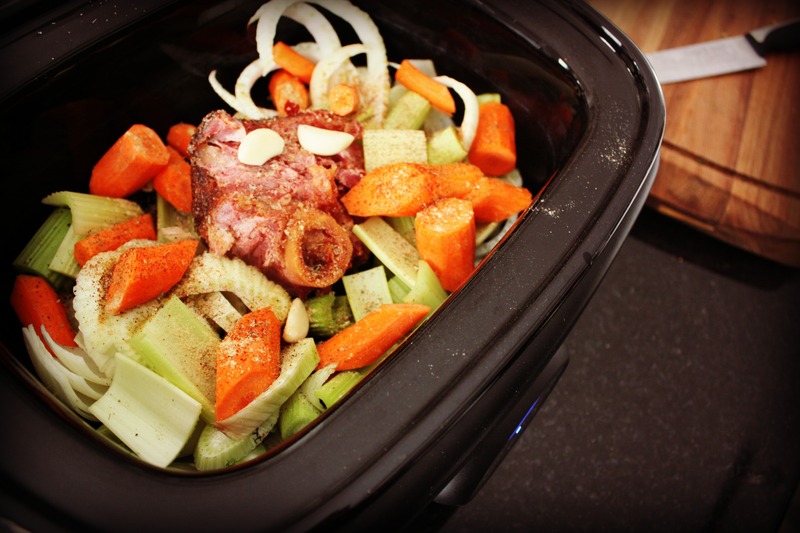 It’s as easy as roughly chopping all of the veggies and throwing everything into a crock pot (a pot is absolutely acceptable, but a crock pot allows you to walk away and really have no worry of it boiling over and becoming a hot mess). Add the bay leaves, and 1 teaspoon of all spices and sugar. Cover with water, bring to a boil, and let simmer for 4 hours on high, and then 6-8 hours on low. Yes, it takes a long time, but the ham bone needs a little more love than say, turkey leftovers. 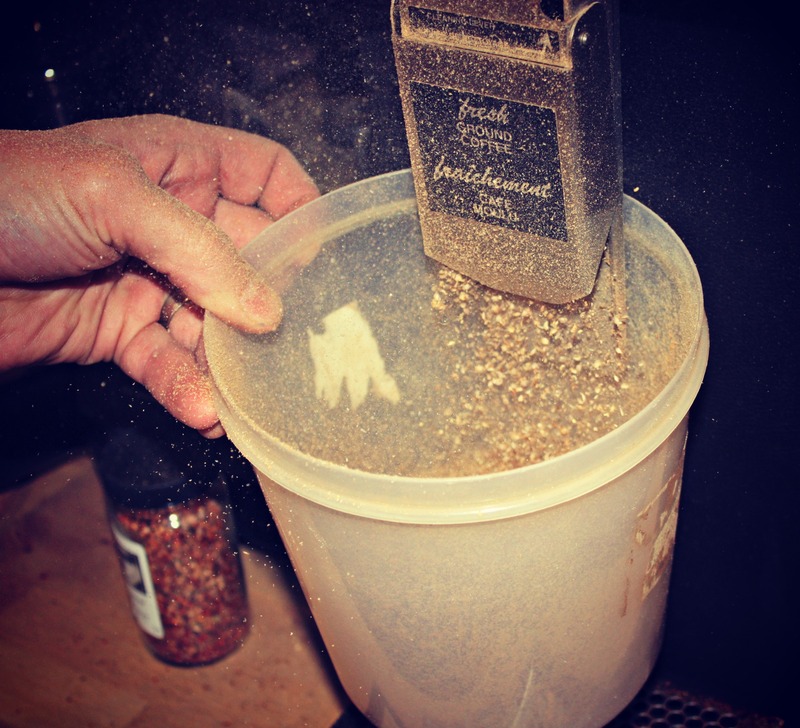 As it steeps, the stock will become richer in flavour and gain more depth. Taste-as-you-go is always a good rule of thumb. When you’ve reached a spoonful that makes you say “oooh! that’s good!”, it’s a good sign it’s done. Let the stock cool and then strain it away from all of the veggie bits and ham bone which will be discarded. This stock can now be used as a base for the ever-popular split pea and ham soup (like this one by our friend Julie Van Rosendaal), a veggie soup, or even when sautéing vegetables. And it freezes well for months in a well-sealed container. Now, how many meals did you get out of your Easter ham this year? 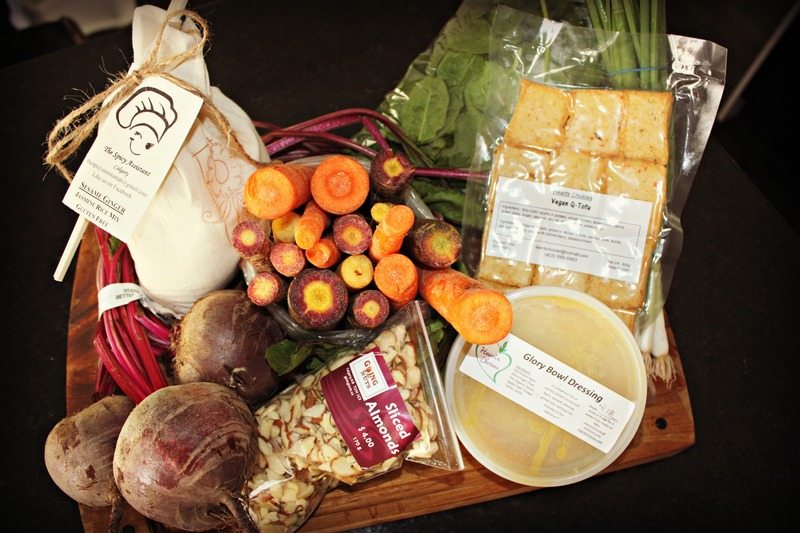 With such beautiful ingredients found at the market, why let it go to waste?